Richard L. Johnson has concentrated his practice in the area of workers' compensation defense for over twenty years. He is a member of Eastman & Smith. 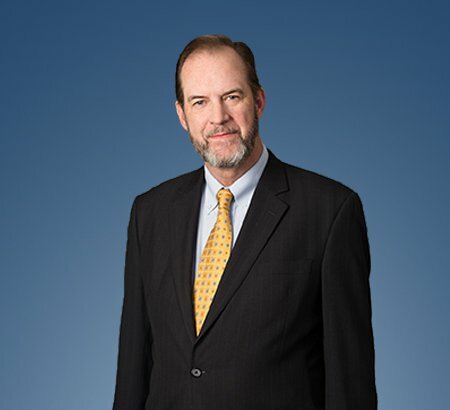 He has represented both self-insured and state-funded employers before the Industrial Commission, Ohio Bureau of Workers’ Compensation, Self-Insuring Employers Evaluation Board and all levels of Ohio’s courts, including the Ohio Supreme Court. Mr. Johnson is accredited by the Ohio State Bar Association as a Certified Specialist in Workers' Compensation Law. He frequently lectures on workers' compensation issues and has given a number of presentations on various topics to many of Ohio’s local safety councils and human resources associations. He is a member of Eastman & Smith’s Labor and Employment Practice Group. Mr. Johnson enjoys traveling and experiencing other cultures. Trips have taken him to places like Bangkok, Yangon, the Seychelles and Abu Dhabi. He hopes to visit other exotic places in the future. Mr. Johnson has successfully defended employers in workers' compensation appeals filed in various common pleas courts in Northwest Ohio from decisions of the Industrial Commission. He also has successfully defended employers in mandamus actions filed in the Tenth District Court of Appeals and in appeals to the Ohio Supreme Court. Some examples of his litigation experience include the following. He is an associate member of the Ohio Self-Insurers Association as well as a member and former trustee on the board of the Northwest Ohio Self-Insurers Association. Mr. Johnson also serves on the board of directors of the Eastern Maumee Bay Chamber of Commerce and on the steering committee of the Hancock County Safety Council. He is a member of the Ohio State and Toledo Bar Associations as well. Mr. Johnson is an active member of Hope Community Church of the Nazarene in Oregon, Ohio, where he has taught an adult Sunday School class for a number of years and also serves on the church’s campus leadership team. Furthermore, he is a layperson member on the District Advisory Board of the Northwestern Ohio District of the Church of the Nazarene.